Downtown Markham, the vibrant new city centre, is one of North America’s largest mixed-use urban developments and includes its largest collection of LEED®-certified buildings. Winner of the Building Industry and Land Development Association’s “Places to Grow Community of the Year” award for 2012, this 243-acre master-planned neighbourhood features pedestrian walkways, public streets, parks, office buildings, entertainment venues, hotel accommodations, shops, and is in close proximity to the Rouge Valley. 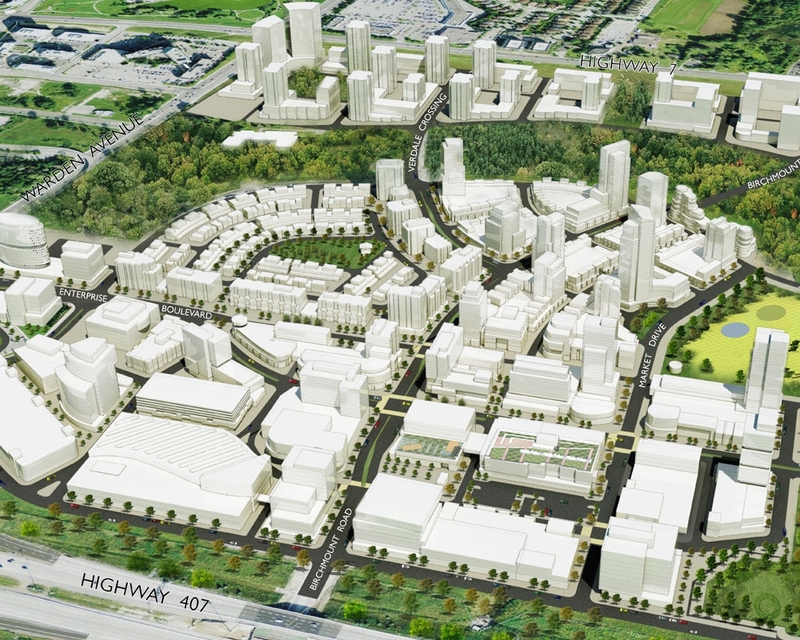 Downtown Markham will eventually be home to approximately 15,000 residents, many living in high-rise condominiums for which Krcmar is providing land-surveying services. The wide variety of architectural styles, combined with many complex mixed-use arrangements, requires the diverse land-surveying skills that Krcmar possesses.